It may get to a time in your life when you’re looking for a change, whether it’s something as small as picking up a new hobby, or something big like replacing your vehicle! Whether you’re looking to trade-in your vehicle to a dealership or you want to think about privately selling it, there are a few things you can do to maybe increase its resale value. Have a read of what you can do to possibly get a little more cash than you expected for your car! As you may already know, the mileage is one main factor that decides the value of your vehicle. Your vehicle could be in top condition, with a good service history, but the number of miles you’ve done will ultimately decide how much you can sell it for. Seems a little unfair when you think about it, because why do we buy cars in the first place? To travel in them! So it may not make sense to limit your journeys, but in the endgame (when you want to sell it) how much you’ve used it, is the one thing that actually matters. 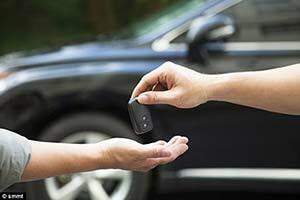 So, to increase the resale value, you’ll have to sacrifice a few of those long journeys and save those miles! Maintenance is key! If you purchase a vehicle with or without the intention of selling it in a few years, regardless of that fact, you have to keep it in good condition by maintaining it, in order to not let its resale value drop. One common question is; how often should your maintenance schedule be? Well, it all depends on what conditions you drive your car in, how often you drive it and how well you drive it! If you found yourself in a little accident a while back, and you collected some car body damage that didn’t directly affect the car’s running ability but made it look a little rough, then you should maybe think about getting it fixed. This is if the repair will indeed increase your resale value. So, get in touch with your regular body shop and check to see if it’s worth getting the repairs done, or will the cost of the repairs be too much, compared to the trade-in value of your vehicle. Also, a few things you should get routinely checked are the brakes, lights, windshield and tyres. 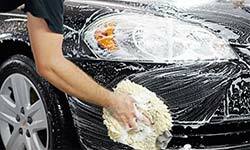 Have you ever noticed yourself leaving your car dirty, to avoid discovering any scratches or dents that may be revealed when it gets a good, thorough clean? Because let’s be honest, those blemishes can be a real pain! But I think it’s time to stop living in denial. It’s completely normal (and quite inevitable) to collect paintwork damage, such as scratches in your paintwork, scuffs on your bumper, dents in the doors, etc. But if you neglect to fix them, this could knock your resale price down quite a bit. So, your best bet is to get those pesky imperfections fixed, give your car a good wax and it’ll look nice and shiny in no time! For more information on different types of damage you may pick up on your vehicle’s exterior and how to fix them, check out our article:. Common Paintwork Damage: Problems & Solutions. This point shouldn’t really come as a surprise to you, if anything, cleaning your car should have a permanent spot on your to-do list! But why, you ask. It’s simple, leaving your paintwork constantly covered in dirt and grime will eventually take its toll on your paint, not only dulling it but maybe even damaging it over a long period of time. Don’t forget the interior too! Be sure to get into a habit of removing all the rubbish from your car, wiping down all the surfaces and keeping the upholstery clean. So, take care of your vehicle, give it an inside clean out and a thorough wash every week or fortnight (depending on your driving schedule and circumstances). If you’re unsure of how regular your cleaning schedule should be, we have the perfect article for you, check it out: How Often Should You Clean Your Car? This might come as a surprise to you, but parking your vehicle in a garage or covering it with a sheet when it’s not in use, can actually maintain its exterior! By leaving it parked on the street under the trees, or in the drive whilst the sun is beating down, can actually wear your paint down over time. Tree sap from trees and the heat from sun rays will eventually age your paint and thus cause damage to the paintwork, so not only will it decrease your vehicles cosmetic appeal, but it will also decrease its value. I think one thing we all check when browsing for a new car, is the service history of the vehicle. Who wants to be splashing out on a second-hand car, when you don’t know how well the previous owner looked after it? That’s why keeping any receipts from repairs and maintenance on your vehicle in a safe place is important, so that any potential buyers know how much a good owner you were and will feel more assured into buying a vehicle that was well looked after. Imagine you were careless and didn’t keep a service book, thus you have no record of maintaining your vehicle, this could mean a big drop in the value of your vehicle! There we go, after reading this your vehicle should be in tip-top condition and ready to trade-in or sell away! But if you’re reading this and you’ve just realised your vehicle actually has a few things that need correcting and repairing, we at Bodyteq will be happy to oblige. Contact us today for a free quote! ← Car Paint Scratch: How Deep Is It?